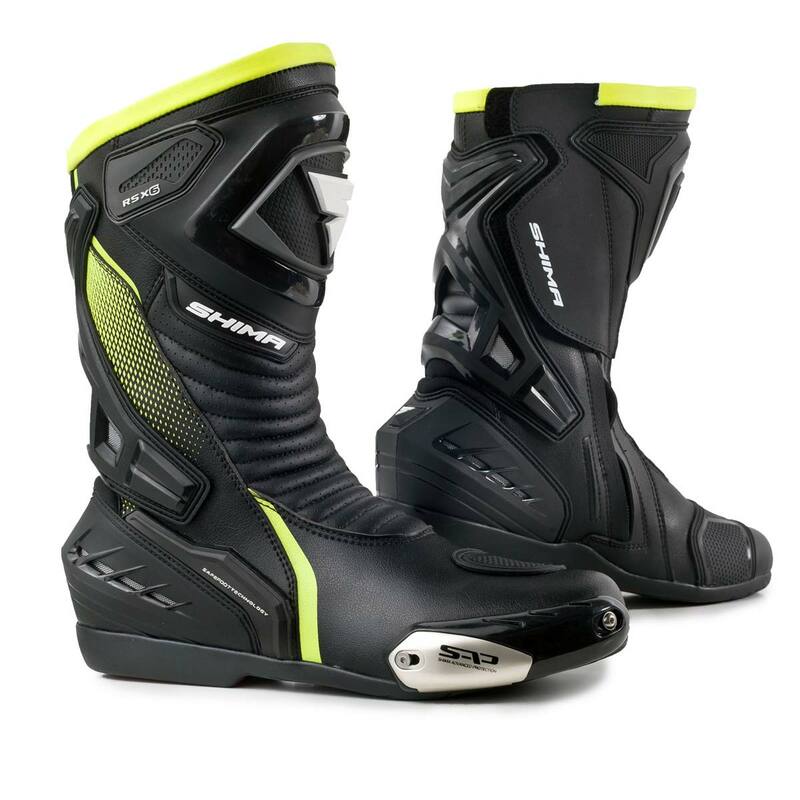 RSX-6 boots have protective elements that are appreciated by the most demanding motorcyclists, for whom protection is the highest priority. One of them is a special hard pad on the heel, which has a significant impact on the foot protection, ensuring adequate absorption of the impact impact impact and providing additional abrasion protection. 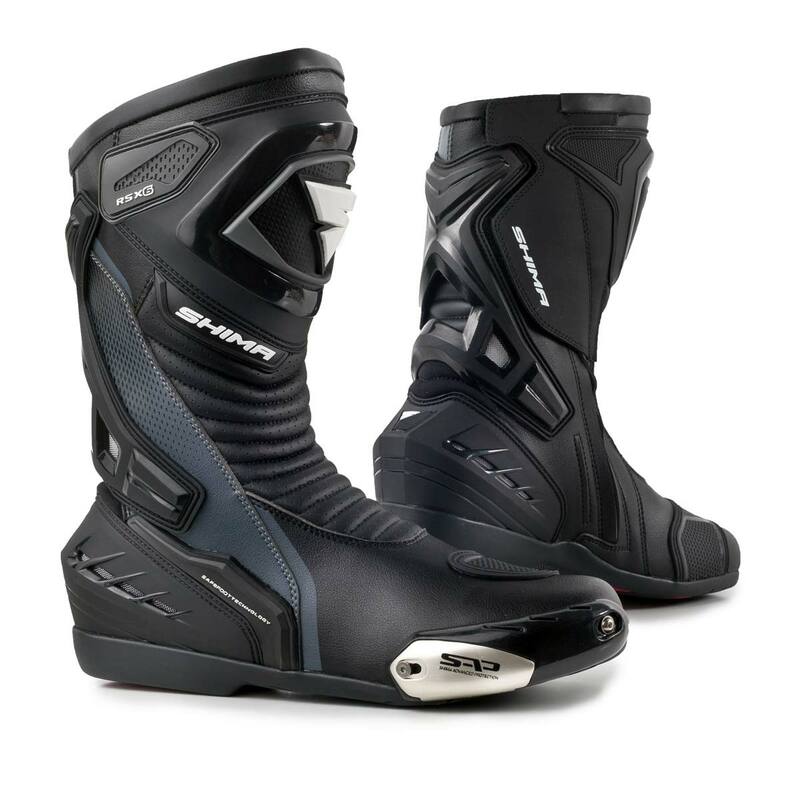 The RSX-6 is a sporty boot with an ergonomically sloping design that fits the position of the biker. The rear boot area is reinforced with an X-shaped TPU cap, which additionally stabilizes the ankle joint in case of sudden overloads. That's exactly what you need when you're in danger! 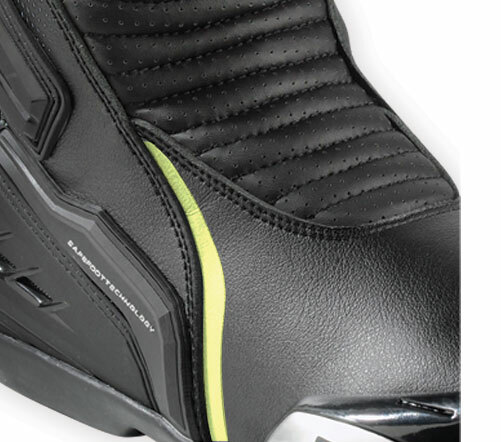 Perforated leather on the front of the upper allows for light ventilation and air circulation inside the boot for comfort while riding. You cannot go too much with ventilation and it's worth trying for yourself in one of these warmer days! One of the most vulnerable and sensitive areas at the time of impact is tibias. That's why the RSX-6 has a special rigid protective cover in this place, which additionally supports the knee protector used in pants from the suit. 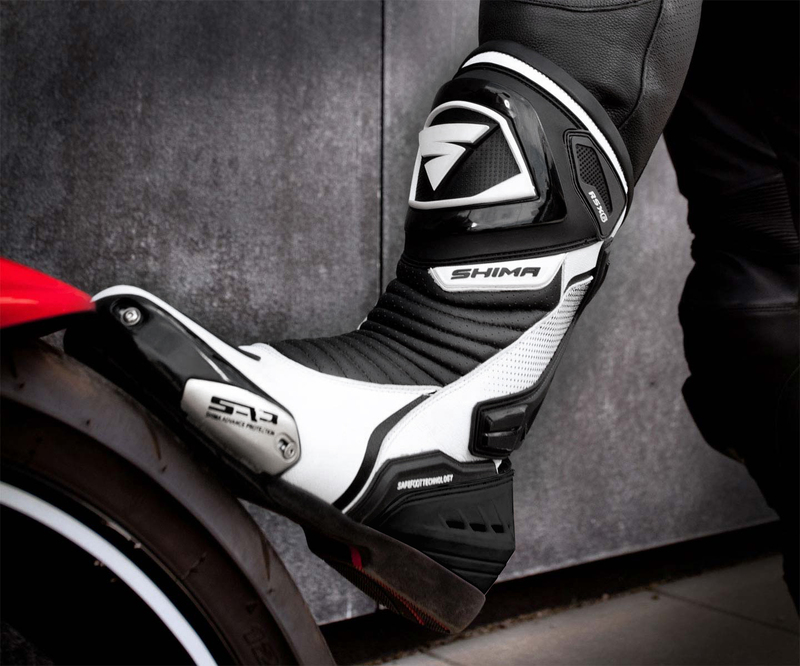 The special synthetic front pad on the boot allows you to operate the shift lever more precisely so nothing will disturb the feeling of a motorcycle. This is an indispensable element that you will quickly appreciate! The RSX-6 is an expression of sports spirit and passion. Of course, it doesn't just matter how they look, but more importantly is about your safety. 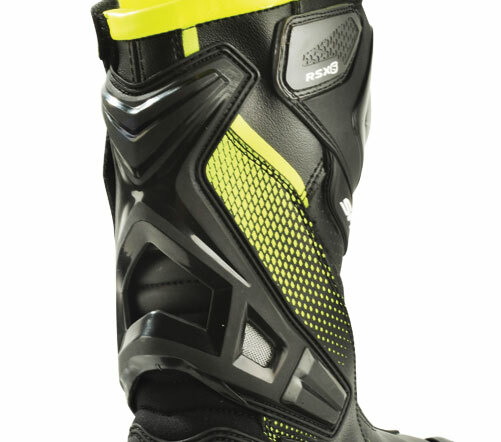 The boots are CE-Category 2 certified according to EN-13594:2015 which is a guarantee of the highest protection class confirmed by tests in the most demanding conditions. 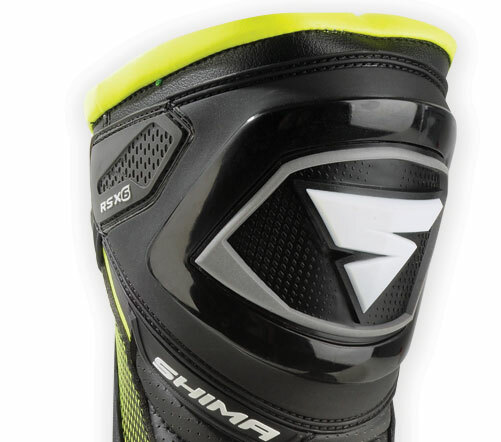 The RSX-6 uses SafeFoot technology - the cross-reinforced sole with TPU slider on the outside of the boot. The high-quality rubber sole provides excellent comfort and good grip confirmed by conformity with CE standards. 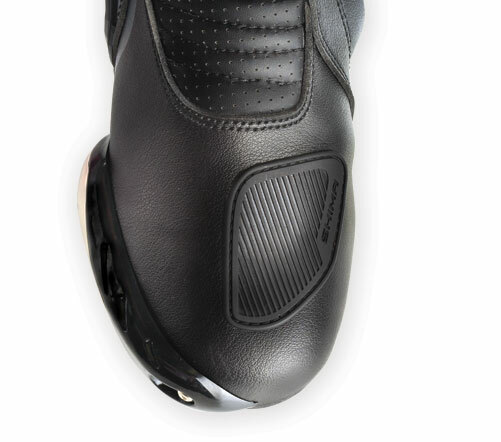 Perforated leather on the front of the upper allows for light ventilation and air circulation inside the boot for comfort while riding. RSX-6 has a special rigid protective cover on the tibias, which additionally supports the knee protector used in pants from the suit. 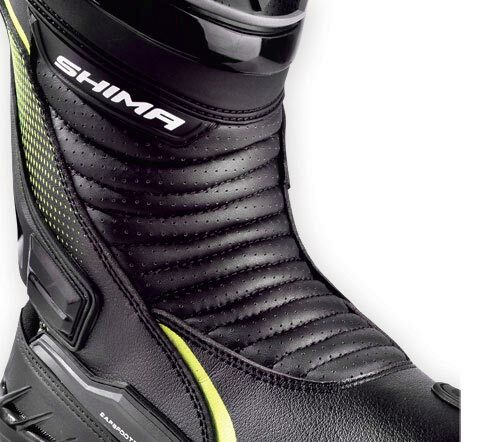 The special synthetic front pad on the boot allows you to operate the shift lever more precisely so nothing will disturb the feeling of a motorcycle. 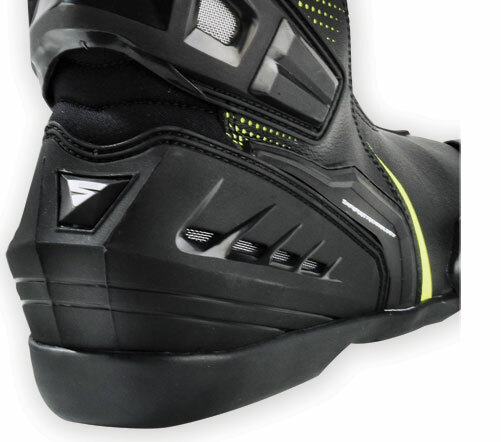 Special hard pad on the heel, which has a significant impact on the foot protection, ensuring adequate absorption of the impact impact impact and providing additional abrasion protection. The rear boot area is reinforced with an X-shaped TPU cap, which additionally stabilizes the ankle joint in case of sudden overloads. This model is made of certified microfibre leather which meets high standards of protection (abrasion resitanance class according to CE standards). 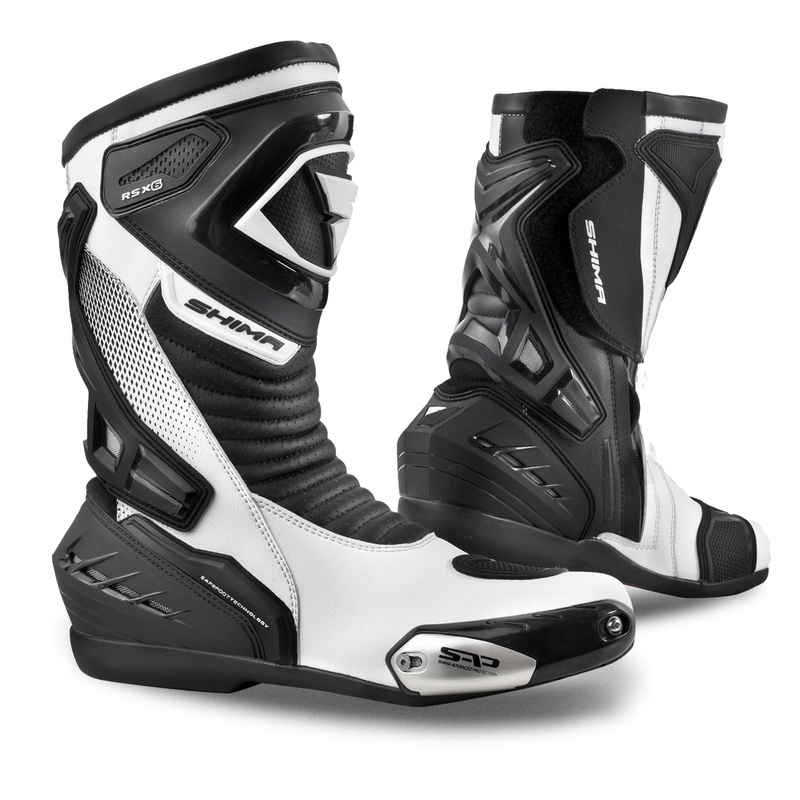 The RSX-6 is a sports ridring model of boots with an ergonomical design which fits the position of the biker. Made of certified microfibre leather with high protection standards (abrasion class). The surface of the tibia is covered by a hard TPU casing, the rear area of the boot is reinforced with a plastic X-shaped element which ends in a rigid heel casing. The metal slider on the side of the boot protects the side and top of the foot together with the stiffener hidden under the leather. 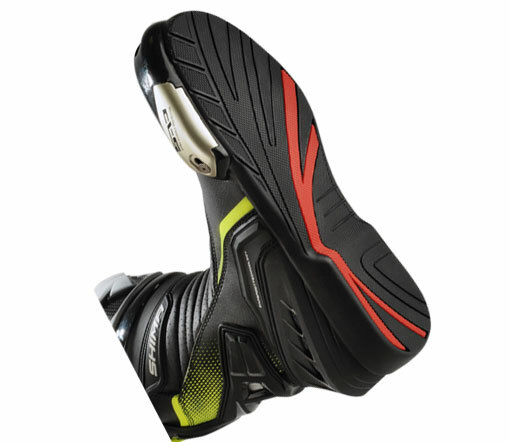 The sole of the SafeFoot system is strengthened vertically. 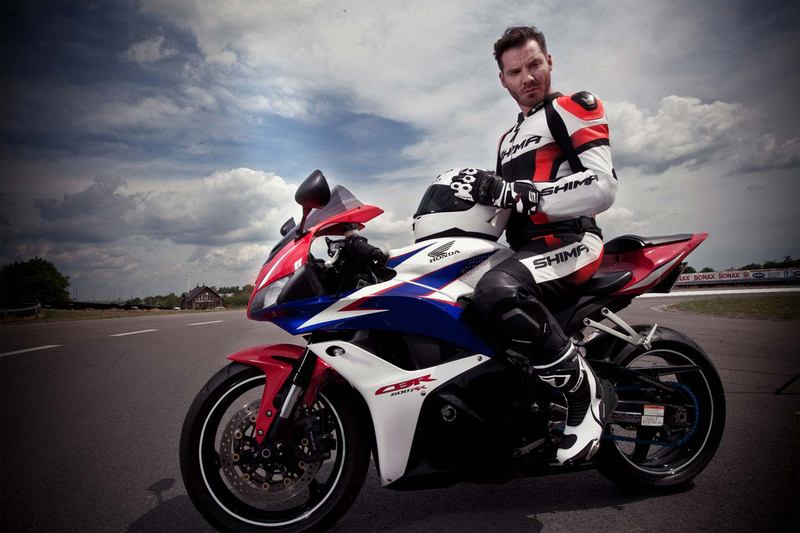 A special synthetic grip pad placed on top of it allows you to operate the shift lever more precisely. Perforated leather on the front of the boot allows for light ventilation and air circulation inside the boot.